Whether you have spent thousands on a property or a warehouse filled with expensive equipment, the last thing you want to do is make it easy for people to trespass. Having tight security is a key foundation to ensuring that your business and its assets remain out of the reach of others. 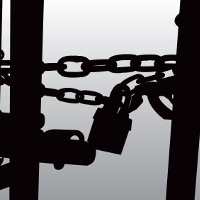 The following security methods will help keep your business safe from intruders. The dark of nighttime is a cloak for thieves and vandals. One way to keep those interested in intruding on your business property on their feet is to brighten things up a bit. Installing security lights and motion sensor lights becomes a great way to take the cloak of darkness away from those who are up to no good. Using motion sensor lights that also make loud noises is another way to put a potential intruder on edge. Modern security systems make it possible for just about any business owner to outfit their warehouse or property with cameras. Used in conjunction with smartphones and apps, these camera-based security systems will give a business owner remote visual oversight of their business at all times. Motion sensor cameras can also be used to alert a business owner that someone is messing around outside their business. In addition, streaming video data to a receptacle for recording that information on a remote server means that an intruder’s activities will be recorded for legal purposes. Because your warehouse might be located in a not so nice part of town, it is smart to enclose your warehouse to make it more secure. From custom-style, commercial-grade security gates and fences from Mills Fence to elaborate security locking systems, it is relatively easy to design and install a second outer perimeter for improved security and rapid lockdown purposes. Despite all the security technology available today, hiring a security guard to watch over your warehouse or business property may still be one of the best decisions you will make as a business owner. A security guard will be able to react in real time to any threats being posed on your place of business. The presence of a security guard also gives the impression that your business will be more challenging than most to burglarize. Learning that your business has just been broken into is not the time to start thinking about properly securing your business. Measures for security should take place long before thieves have an opportunity to target your warehouse or other business properties. Utilizing multiple layers of security is a strategy that will improve the overall security of your business and keep other’s hands off your assets.